The Fort McKay Métis community says it is being frozen out of the benefits of an oilsands project because it insisted on consultations over the environmental impact of the development. CNRL says it will "not conduct business with partners that are seeking to directly or indirectly undermine the Horizon project." In her 68 years, Margie Wood has seen the landscape around her transformed from isolated wilderness to an intensive industrial zone. She has lived her life in the heart of what is now the Alberta oilsands. Margie Wood's trapline is no longer accessible because of oilsand development. (CBC)Today her community is surrounded by open pit mines and massive upgrading plants. Pipelines and service roads snake through the trapline she once shared with her father. "That's where we used to live, and that's where we made our living," Wood said of the trapline. "If you were to go there now you would not trap. There's nothing to trap. The company, they destroyed our land." The company she's talking about is Canadian Natural Resources Ltd., which built its Horizon oilsands project 15 kilometres north of the tiny hamlet of Fort McKay. "They took all our cabins out, all our trees," she said. The Fort McKay First Nation has benefited from the nearby oilsands plants. Its 350 members have seen their standard of living improve through direct employment with the large oil companies, and community owned businesses have thrived. But Wood is not a member of the First Nations community. She's one of the 84 Fort McKay Métis who are not getting the same benefit from the megaprojects on their doorstep. The Métis receive no government money for things like housing and social programs. But they do own the 324 hectares of land bordering the First Nation and the Horizon mine. In a bid at bettering the lives of its members the Métis community began building partnerships to bid on projects at the Horizon mine. The first was with security firm Garda, which was already contracted by CNRL. But as the Garda-Métis partnership was being developed, the Métis-CNRL relationship was starting to sour. It began in the summer of 2014, when the Métis and First Nations jointly sent a letter of concern to Alberta's energy regulator outlining concerns with the growing Horizon development. The Fort McKay Métis community is in the heart of the oilsands, but says it gets no economic benefit from its closest neighbour, CNRL. 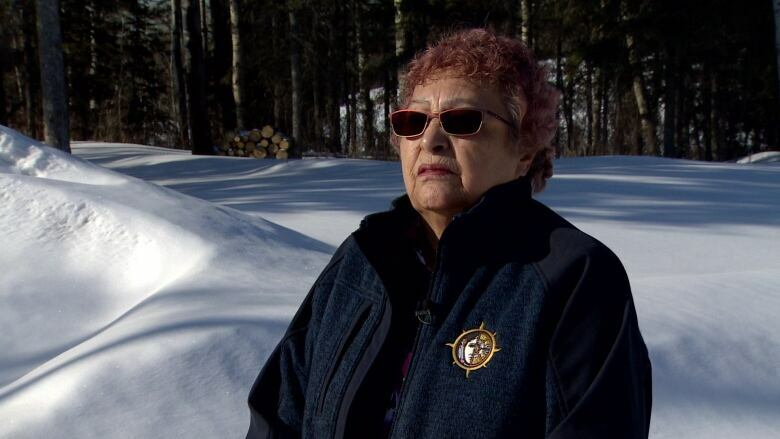 (Terry Reith/CBC)"Fort McKay has lost the use of and access to much of its traditional territory," the letter stated. "It is also likely that the project and related development will lead to significant adverse effects, such as decreased wildlife populations, increased air pollution and odours, reduced water quality, increased noise and traffic." Under the law, oil companies are obligated to consult with First Nations, but not Métis. Shortly after the letter was delivered, the First Nations and Métis stopped speaking with a single voice, and the Métis found themselves isolated. According to the McKay Métis, CNRL has not spoken with or consulted them since the letter was delivered. When the Alberta Energy Regulator approved a renewal of CNRL Horizon's 10-year operating licence in 2015, the McKay Métis tried again to get their voice heard. They appealed the renewal and submitted 75 suggestions to mitigate the environmental and social impact of the mine on the community. "We are not anti-oilsands, however we feel that we are obligated to our people to ensure that the process of development of the resource is the best process possible," Métis Association president Ron Quintal said in an interview. The Métis Association did not hear back from CNRL directly, but its business partner Garda did. In a terse letter delivered to the security company, CNRL pointed to a "conflict" that it was "unwilling to waive," stating "Canadian Natural will not conduct business with partners that are seeking to directly or indirectly undermine the Horizon project." Quintal said CNRL also refused to accept a bid from another company that was partnering with the Métis Association. "What we encountered from CNRL was not necessarily conversation, but was retaliation." CNRL declined CBC's request for an interview. When CNRL first applied for the Horizon project in 2003, it signed a co-operation agreement with the community of Fort McKay, which included both the First Nations and the Métis. Along with platitudes such as nurturing a long-term, good nature relationship, the agreement also included the objective to "implement mutually beneficial initiatives to increase education and employment opportunities for community members with the Horizon project. But David Laidlaw of the Canadian Institute of Resources Law isn't surprised at CNRL's actions when it comes to the Métis community. "As far as they're concerned, it's business as usual, and they're not under any obligation to employ any particular group," he said in an interview with CBC News. Nor is CNRL under any obligation to consult with or even listen to the Métis community under Alberta's current laws. But that may be about to change. The province's NDP government is poised to announce a new consultation process for Métis communities. Richard Feehan, Alberta's minister of indigenous relations, has already met with the Fort McKay Métis, along with three other communities in the oilsands region, and he said he understands their concerns. "I agree that people are not being consulted the way they should have been consulted. You know under the previous governments that there's a group of people who have essentially been neglected, and we're repairing that, because we fundamentally believe that people have a right to be consulted about matters that influence their lives and that make a difference in how they want to be in this world." But before anything happens, Feehan said there will need to be a wide range of consultations to decide what specifically should change. That could take a year. In the meantime, Quintal said his group is spending money on legal fees that would better be spent on housing, social services and scholarships for students. Margie Wood just wants her tiny community to see some benefit from the land and lifestyle it has given up. "I just want CNRL to work with us. What is wrong with us? We work with other industrial companies, why won't they work with us? We need some jobs for my people."